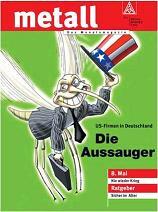 Marc Pitzke hasn't made a career as Amerika-Korrespondent by being Mr. Niceguy or respecting the truth. How about you just stick to guns, fast food, racism, NSA and obesity next time? You just need to take your cute little camera phone to a gun show or a KKK meeting to get the footage we really want for SPIEGEL readers. There are plenty of worthy topics to report on when it comes to the USA without upsetting Mr. Augstein with this excessive exposure to reality. You guessed it - SPIEGEL ONLINE's post marking the withdrawal of US troops from Iraq contains a fifteen-slide photo gallery with nothing but pictures of evil American invaders, death and destruction and Iraqi suffering. It contains no photos of Iraqi voters with ink-dipped fingers. 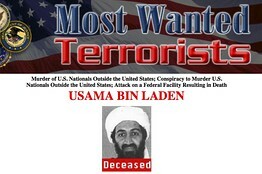 No photos reminding us of Saddam's mass murder and destruction of his enemies. No reminders of the successful surge that Bush backed despite Reid saying the war was lost. No pictures of American troops and diplomats helping millions of Iraqis building roads, schools, power plants, providing medical care, jobs and stability. No pictures of the Sunni Awakening and the defeat of Al-Qaeda in Anbar province. In short - no pictures telling the whole story or providing any real balance. Just pictures fitting the SPIEGEL ONLINE anti-American far-left narrative: The American military is evil. The war was all bad. The Iraqis only suffered at the hands of the terrible invaders. With the Iraq war's apparent conclusion, one can only say of SPIEGEL ONLINE that - for a publication and readership that styles itself as so utterly nuanced and intelligent - the coverage has - in fact - been utterly one-sided and hyper-simplified propaganda - with very few exceptions. 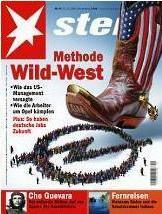 The magazine's coverage was designed to sell magazines to and please an anti-American audience from beginning to end, and the German readership will never have more than a very narrow and self-satisfying view of the conflict that in no way reflects reality. Now back to Afghanistan...is it Vietnam yet? Headline above: "US Drone War in Afghanistan: Photos Show the Real Victims of the Silent Killers"
"Remotely controlled drones are seen as the wonder weapon in the anti-terror fight. For years, Washington has used the high-tech weapons in west Pakistan, but the suffering of the civilians is mostly hidden. Now a photographer's pictures show the entire extent of the horror. By Hasnain Kasim, Islamabad." As it reads - the headline seems to imply the following: The real victims (and therefore the real targets) of drone strikes are innocent civilians, not the violent jihadists hell-bent on murdering anyone who does not share their worldview. If there is any doubt amongst our German journalist friends about the kind of people the US is targeting - watch them brutally murdering sixteen Pakistani policemen here. 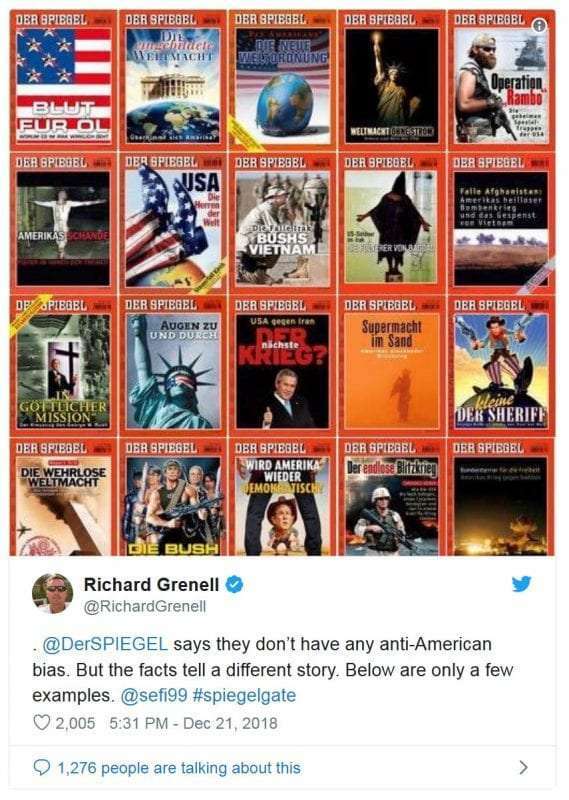 The good, morally-superior journalists at SPIEGEL ONLINE who go to bed peacefully each night protected by American troops should have no doubt that they and their loved ones would end the same way should those the US is really targeting have the chance to effect their agenda. This latest lead article displays the same sort of muddled logic that allowed SPIEGEL ONLINE and other like-minded media to imply earlier that the inmates at Guantanamo (for the most part) were just innocent Afghani vegetable gardeners or foreign honor students (not determined Islamic Fascists out to create a global caliphate) who happened to be in the wrong place at the wrong time. In addition - this story is essentially taking the Pakistani photographer's word for it that his photos are all actual depictions of civilian casualties. That's not to say that there have not been civilian casualties - but how many civilians have been victimized because militants chose to use them as human shields or their villages as bases of operations? Do they not at least share in the responsibility for the consequences? Oh by the way...is it Vietnam yet? Hey SPIEGEL - Is it Vietnam Yet??? Bring on Marc Pitzke and Peter Scholl-Latour and tell me how the US is doomed to fail now. "The older, conservative German demonstrators who have recently been taking to the streets to protest against the controversial "Stuttgart 21" railway station project are the product of demographic change and their own fears. But the German protesters look absolutely harmless compared to America's hate-mongers, gun freaks and Tea Party demagogues who first compare Obama to Hitler and then minutes later to Stalin. They are people so filled with vitriol they can no longer think straight -- people like television presenter Glenn Beck, who says that putting the common good first is "exactly the kind of talk that led to the death camps in Germany." Beck has millions of followers, and appears in public with former Alaskan governor Sarah Palin, the darling of the Tea Party movement, who gleefully pronounces Obama's middle name Hussein as if it were a naughty, menacing word. Just two years ago, such things would have been taboo, and considered below-the-belt by Republicans." (...) "While the older, white hate mongers make loud noises, surveys show that the younger generation are generally satisfied with the direction their country is heading in. Or rather, they are indifferent, taking a benevolent view of the nice, pleasant adults, their nice, pleasant president and those wild stories about 2008. The haters, on the other hand, will go and vote in November." Here the author clearly implies that there is no constructive, intellectually-founded opposition to Obama and his policies. Instead, the opposition consists of older white fanatics, hate-mongers and gun-nuts - who - in being so demonized - are not worth listening to or understanding. The photo gallery further reinforces this conclusion. The author is feeding a long held stereotype, nourished for decades by the German media, that there is little quality or diversity in American media. The irony here is that the above description is a far more accurate description of the state-dominated German press. The author seems to imply that because the United States is "polarized" - that left-wing views are somehow ignored or unavailable to anyone not living on the east or west coasts. That - of course - is preposterous. The reality is that an incredibly diverse array of media are available to Americans everywhere (without even mentioning the online offering). What Klaus Brinkbäumer fails to understand is how anyone could reject the logic of the Left - and he therefore concludes that the left-wing point of view is somehow not available or comprehendible due to mysterious factors such as "polarization". "And there have been many weaknesses. Obama allowed Congress to negotiate the details of his healthcare reform while he deliberately held back. What emerged was a half-hearted reform that is complicated and that is really a reform of the health insurance system. But to get that reform, Obama used up his political capital, the one window of opportunity every new president gets." Here the author implies that health care reform has not been popular or appreciated because it did not go far enough. In fact, most of the opposition to the plan comes from those who would characterize it as excessive government involvement in the health care industry - and who support its repeal. As for immigration - most Americans support LEGAL immigration - yet oppose ILLEGAL immigration. The author fails to recognize the obvious distinction. Further, Americans are generally more tolerant of immigrants and better at integrating them than are Germans. "Weren't there more urgent issues he could have tackled, like energy reform for example, which would have entailed a real change of direction and which would have meant re-educating America's consumers?" Wow - re-educating American consumers - REALLY? Perhaps the author was having a 60s flashback - or perhaps the true problem is that economic conditions in the energy market simply do not reflect the utopian view that wind farms and solar panels will soon magically replace fossil fuels as primary energy sources. Endnote: On the bright side - at least Spiegel Online did interview a staunch Obama opponent and allow him to speak for himself. This may still be rare - but at least readers get some exposure to a different voice. Spiegel Online sees the falling poll numbers, they smell blood... Could it be they have decided to bail on the Obama bandwagon and satiate the long unfed Hate-America readership...? "Spying initiative on the web - Obama wants to Eavesdrop on the World"
Not that we agree with Spiegel's overblown blanket criticism - this is simply requiring media platforms to be technically equipped to comply with a wiretap order - but isn't this the same administraton that furiously condemned Bush for eavesdropping? SPIEGEL ONLINE and the Somali Pirates: Say What? SPIEGEL ONLINE headline: "Kidnapped Captain: Somali Pirates Make Fools of US Navy"
Big surprise: According to SPIEGEL ONLINE, members of the US military are once again humiliated fools - just as they have been in every conflict since the American Revolution. Here's the bottom line: Whether the US military acts or not - they will always be demoralized, trigger-happy fools in the eyes of biased German media like SPIEGEL ONLINE. The true fools are the millions of readers who believe the news they get from German media on the United States to be reliable.